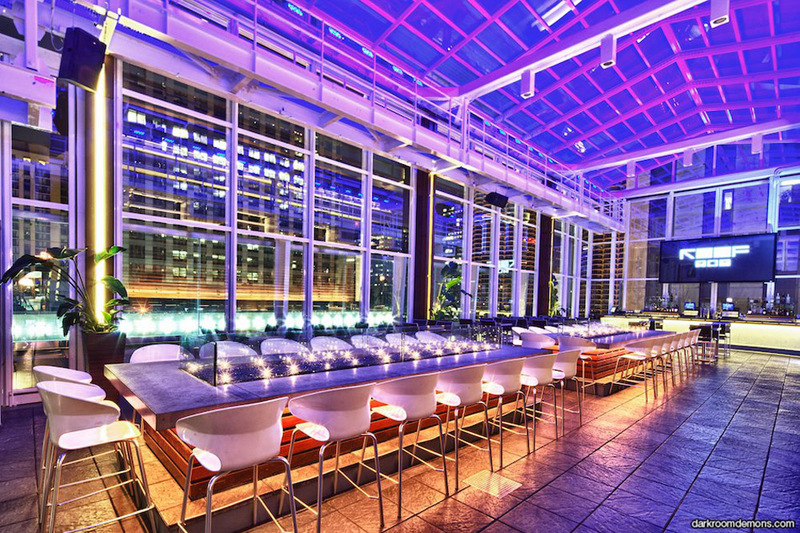 If you’re looking for amazing drinks, food and views of the city –day or night, rooftop lounges in Chicago are a must for any visitor or local looking for a great time. I visited and enjoyed these hotspots and here’s what I recommend to try. 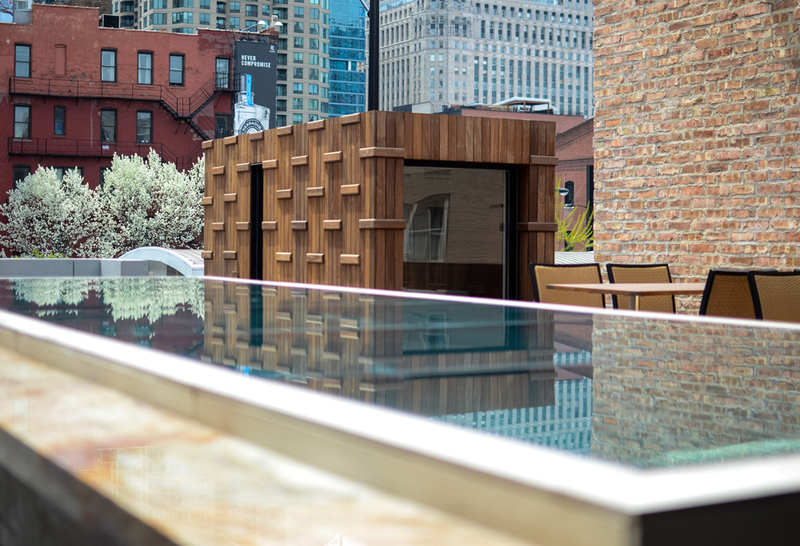 This multipurpose rooftop will never get old to visit –from fashion shows to movie nights to unforgettable views of Chicago buildings, day or night, it can’t be missed. While there, you must try to the Apricot Poppers with herbed goat cheese, almond, snap peas sriracha honey, then jump to the pizza Margherita and some great sushi. For drinks, there is no doubt that I enjoyed “Don’t call me Honey” – Maker’s Mark 46, honey, ginger beer and angostura float, and “Busted Nail” – Glenmorangie 10yr, Yellow Chartreuse Cherry Herring, lemon, and rhubarb bitters. If you happen to be with a large group of friends, you might think about getting a bowl – yes, a punch bowl – of your favorite drink. Hard to miss for its location and amazing architecture, NoMI garden on the 7th floor will delight you with great views and great food. The chic outdoor lounge has the perfect bar for spending time with friends with relaxing seating for an evening after shopping or a long day at the office. From the menu, try Rhyme and Reason with carpano antica sweet vermouth, grapefruit juice, drambuie and simple syrup and Concertina with tito’s vodka with apricot liquor, fresh peach and lemon verbena syrup, finished with sparkling wine. 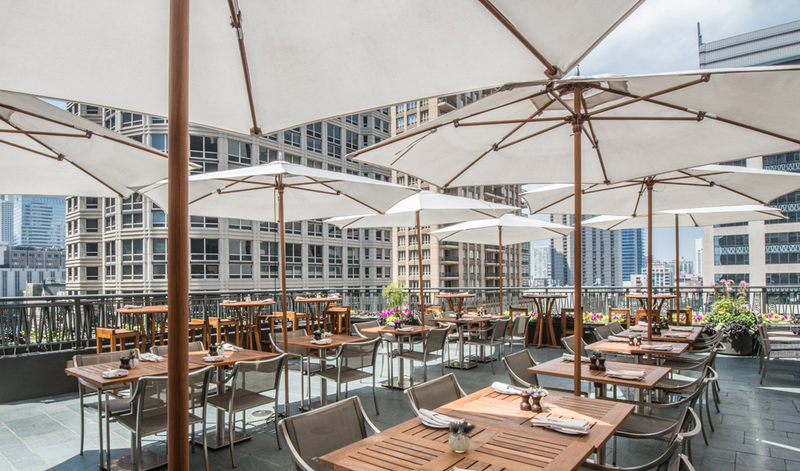 When you step onto the The Dec terrace, one of the best things to take in are the great view of the John Hancock building. It feels so close that you can almost touch it. Relaxed ambiance where almost everything has a touch of summer, from cabanas, beach-like staff uniforms and glow-in-the-dark cocktail tables—this definitely is the place to be with friends. From the menu, try House Smoked Spiced Nuts, Flatbread with house sausage and peppers, Bratwurst Sliders and for a drink, ask for their home brew beer or a Pomegranate Picnic. 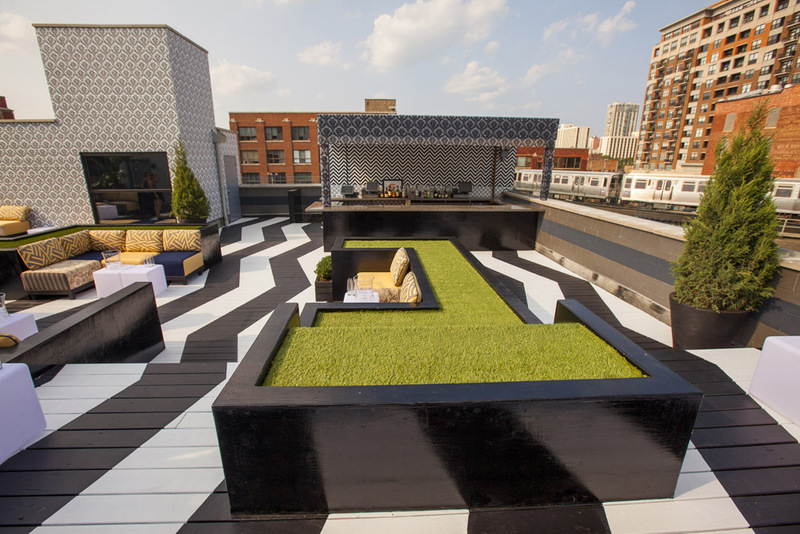 Just off the Chicago brown line stop, The Kensington Roof Garden & Lounge gives you the perfect intimate club-like scene, al fresco style. What’s great about this place, is to forget about waiting for the bartender to mix and shake your drink. At the Kensington rooftop, all signature drinks themed after many locations in the UK, are pre-made every day and kept fresh with cutting edge technology. I recommend trying the BIG BEN – hendrick’s gin, solerno blood orange liqueur, passion fruit syrup & cucumber or try THE SOVERIGN – acapa rum, rhum clement, raisin cola syrup averna amaro, fresh lime & aromatic bitters. 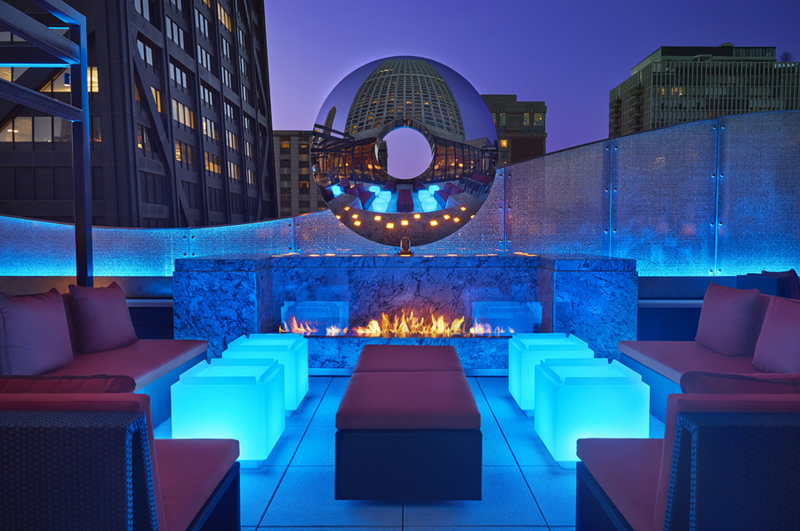 Looking to add some flavor to your rooftop experience? Then try Tanta’s Peruvian cuisine, and head to their rooftop lounge for a variety of their pisco specialty drinks and their cebiche with a Peruvian spin —the day’s freshest catch tossed with lime, aji (Peru’s ubiquitous yellow chili) mixed with ingredients like mango, coconut milk, peanuts, ginger, and bonito. Our favorite drink was Pisco Punch in a blue mermaid cup – porton mosto verde pisco, maracuya, peach liquor and lemon juice. Don’t leave without trying their freshly cooked empanadas! Next articleWorld Cup Dogs are the Perfect Snack for the Game!